Plié & Play celebrates youngsters’ creative expression, and imagination by introducing rhythm exercises, awareness of the body, and basic ballet through creative approaches. 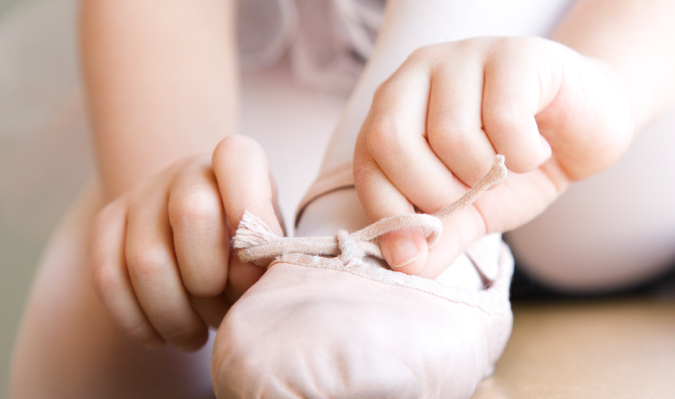 For the Plié & Play class, tiny dancers can wear sweat pants, dance pants, leotards, or t-shirts. Cotton socks, bare feet and sneakers. No jeans or constricting clothing please. Final performance will be onDecember 13 at the regular class time of 3:30p at SKCS. About the Teaching Artist: Victoria Lundell is originally from Michigan, where she received her Bachelor of Fine Arts in Dance at the University of Michigan in 1989. After dancing professionally in the Detroit area for several years, she moved to New York City and continued her performing career with the internationally acclaimed Parsons Dance Company. She taught workshops at PDC, and brought Mr. Parsons’ works to colleges and conservatories throughout the U.S., Asia and Europe, including The Juilliard School and the Ballet de l’Opéra de Paris. About Registration: A complete registration consists of Roxbury Arts Group staff receiving a completed Plié & Play Registration Form a completed Waiver, and payment for the class or a completed Scholarship Form. Once all three items are received (by email at programs@roxburyartsgroup.org, by mail to PO Box 93, Roxbury NY 12474, dropped off at the Roxbury Arts Center at 5025 Vega Mountain Road, or handed to a staff member at a current dance class, then we will be able to consider your tiny dancer registered for the class. This class is limited to 10 participants, and open spots will be filled on a first-come, first served basis. All forms can be downloaded by clicking the links above, or can be picked up at the Stamford Village Library. Class is full. Registration has closed. Classes will begin again in January.